I have only just begun to use InShort and the “in the app” user guide is fantastic, it is actually all the working logic blocks for the resources, events and triggers. 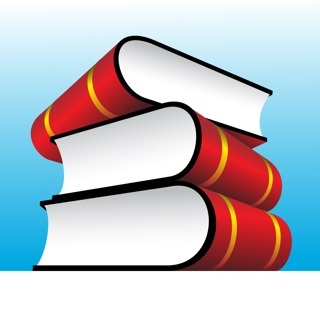 You advance through the user guide just as if you were using the program, all the logic and editing tools are active. 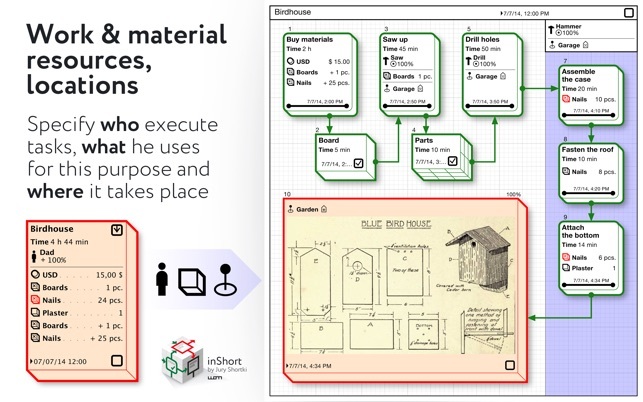 The user guide gives me an awesome idea of what this program is capable of to extablish a critical action path and show all the resource people how they are impacting a project in a visual manner. 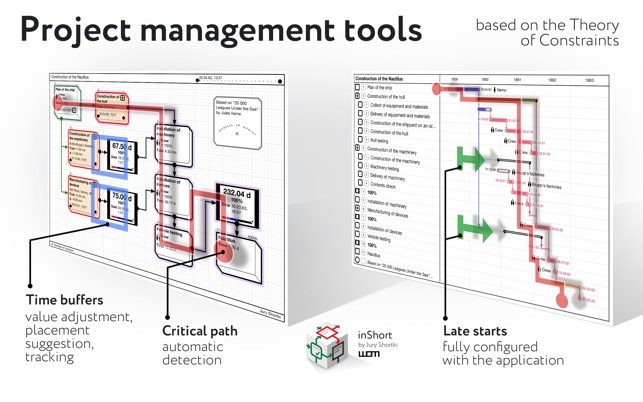 InShort is much like a ladder logic editor however the results are great GANTT charts that are easily understood by anyone as they show the named tasks, who is responsible, what they need, the required result and the date it needs to be done by. I started project management with MacProject on my first Mac I bought in March of 1984. I used MacProject all the from the 1st Mac OS up to MacOS 9. Then when OS X arrived I switched to Project X and the program was discontinued when Mountain Lion arrived. 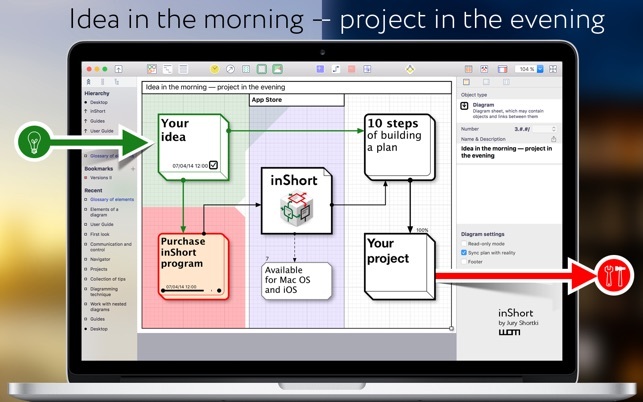 I could not be more happy with InShort since I learned MacProject on my 8mhz 128K memory Macintosh in 1984, this app has a bright future for people that have to think their way through a process, a construction project or a custom automation project. Great job InShort!!! 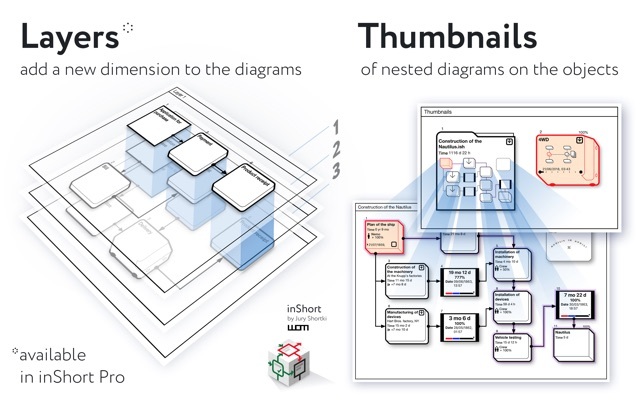 Initially I was looking for a tool that was similar to MS Visio for Mac to help me design the process flows for an Application I am working on for my employer, and then I stumbled across this little gem. 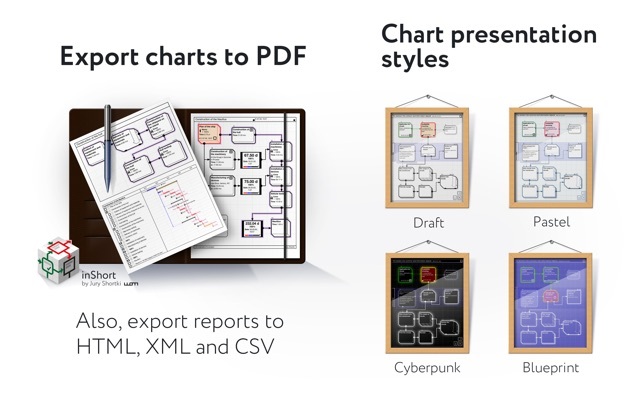 This is like Visio on steroids and at the same time NOTHING like Visio at all!! 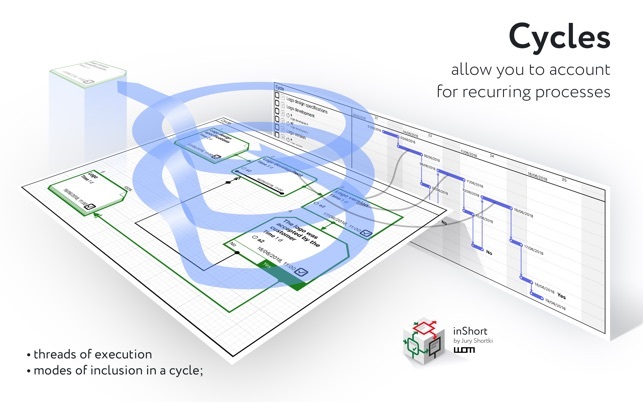 You can build and design process flows with ease. 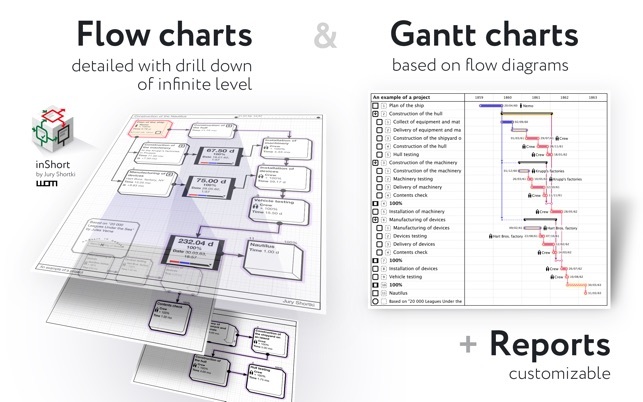 You can create layer upon layer of drill downs to account for incredible complexity within a process while keeping the individual layers of your diagrams simple, clean and easy to read. And that is just the beginning of what you can do with this incredible program. There are so many features packed into this thing it’ll take me a while to ferret out everything that can be done, but from what I’ve seen so far … this is VERY well done! Once you “get it” this is very powerful software. 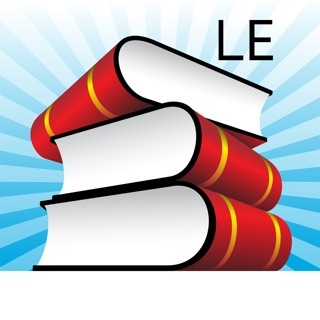 This is really software for smart people looking to organize and manage a lot of data and their relationships. 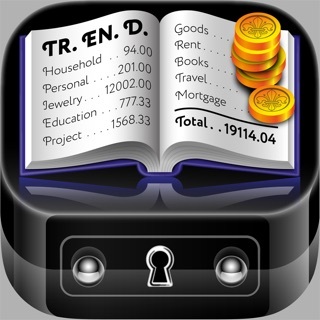 There are limitless amounts of uses you could use this app for. I’ve had it sitting on my system for a long while before actually poking around with it the other day with the latest update and can’t believe I never totally grasped what it was able to truly do. One star deducted for sketch iCloud syncing, however that’s not the developers fault as iCloud sync is a pile of Apple garbage. Just make sure you close your other devices instances when working with your diagrams so you don’t have it overwritten by an other device. I still have a lot to learn, but will be using this daily in my workflow / project management.